I love this adorable image from Lunagirl and enjoyed making this card. This card is fabulous!!! I love the starry background and the vintage image you chose is so darling!!! Thank you for joining the December challenge of the Country View Challenges! 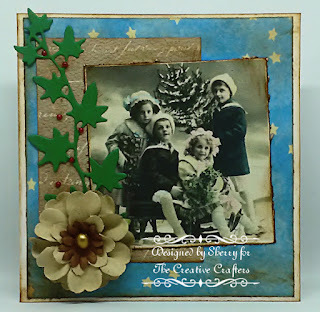 Charming Vintage card! Thanks for joining us at Country View Challenges and Merry Christmas!